So you want to build a house in Davao City? You’ve come to the best place there is. 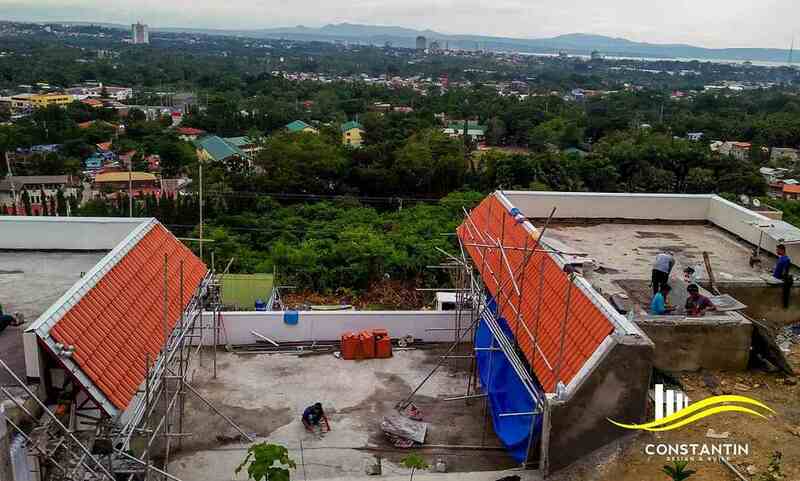 Like anywhere else in the world, to build a house in Davao City entails awareness and understanding of the city’s policies, economy, climate, industries, etc. For example, a prospective homeowner looking to build a house should be familiar of the legalities of acquiring a building permit, the materials that can be readily sourced locally, the cost of acquiring these materials, the prevailing labor costs, and weather patterns among others. This is why we always encourage our readers to work with reputable contractors for the construction of their homes. This is not to say that it is impossible to do without an architect or engineer. But hiring a design and construction professional will help you from all the headache, grief, cost, and even possibly life threatening injuries caused by inexperienced or downright irresponsible building practices. This guide is a condensed version of our firm’s years of experience and knowledge in the local building construction industry. This is by no means a complete list and should not be used in replacement of trustworthy and professional architects and engineers. Rather, it should give prospective owners a more or less complete picture of how it is to build a house in our locality of expertise, Davao City. Following the presidency of its long-time mayor, President Rodrigo Duterte, Davao City is currently in the midst of a boom in its many industries, particularly in the construction sector because of the Build! Build! Build! Project. This means that now more than ever might be the best time to move and live in Davao City. The once sleepy city in the southern Philippines is quickly becoming a major economic hub because of the fast-tracked development projects being implemented. More and more investors are now looking at Davao City as a foothold into the Southern Philippines, with its untapped wealth and economic potential. 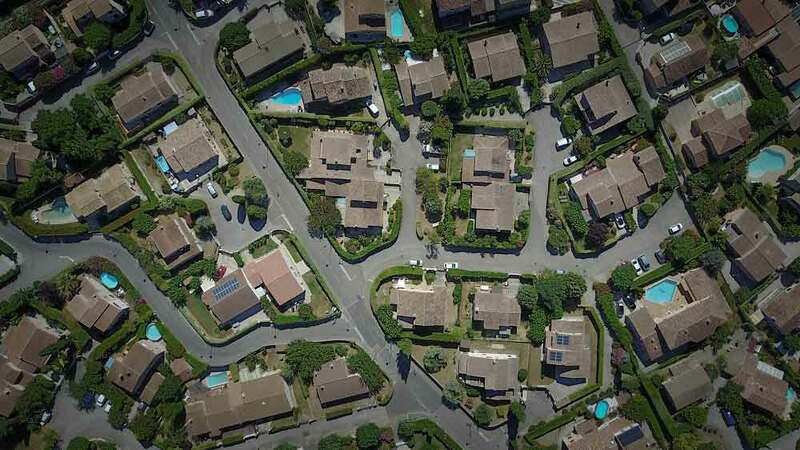 This is particularly felt in the real estate industry, where more and more developers have been developing medium- to high-end subdivisions in the city. This has resulted in a significant rise in land prices. However, this means that competition amongst Philippine building developers is at an all-time high and can allow you to negotiate better prices. We recommend that you consult reputable real estate brokers who will negotiate on your behalf and also give you listings of available properties in the city. A broker will be able to guide you through weighing the pros and cons of owning a property in a particular area of Davao City, as well as the legal paperwork that immediately comes with it. What follows is a list of subdivisions where we have worked in the past, and are known for being reputable gated communities in Davao City. View from Chateau de Boudreault at Las Terrazas Subdivision. 1. Las Terrazas Subdivision – One of the most accessible subdivisions in Davao City, Las Terrazas can be reached through the Pan Philippine Highway (locally known as the Diversion Road) or through the much busier Maa Road. Some lots near the Diversion Road feature views of Davao City and nearby Samal Island. The community features a sprawling Spanish-style clubhouse, sports amenities, a fully furnished nature park with picnic areas, and swimming pools. The 60-hectare community, which is known for its Mediterranean charm, is 30 to 40 minutes away from Davao International Airport. 2. Monteritz Classic Estates – This 45-hectare community is Davao City’s first exclusive subdivision. Like Las Terrazas, Monteritz can be accessed through Maa or Diversion Road, and is 30 to 40 minutes away from Davao International Airport. Because it is located 400 meters above sea level, several of the community’s lots feature sprawling views of Davao City and nearby Samal Island. The community features recreational amenities such as Olympic-sized swimming pools, a gym/fitness center, and a full-sized covered court. 3. Ilumina Estates – Located at Communal in Buhangin is Ilumina Estates. This is an up-and-coming area where developments are currently being fast-tracked. Roads are busy because of the ongoing road construction, combined with the erection of two large shopping malls. Compared to Monteritz and Las Terrazas, the lots in Ilumina Estates are significantly appraised lower, making it attractive to would-be homeowners. However, with the development projects nearing completion nearby, the prices are also expected to rise soon. 4. Northtown – Similar to Ilumina, Northtown is also located in Communal, Buhangin in Davao City. The lots at Phase 1 are ready for building, and are quickly being sold to prospective homeowners. Phase 2, meanwhile, will be ready by 2020. This is by no means an extensive list, as more and more developers are making new lots available to buyers in Davao City. Please contact your broker for a more extensive list. The community surrounding your house is just as important as the inside of your home. The environmental features where your potential house will be located contribute to the total comfort and efficiency of your house. Most Philippine home designers nowadays will incorporate architectural solutions and optimize the utilities that run in the building to maximize sustainability, or at least minimize the usage of energy. Here are 4 factors you need to consider when choosing the lot that your house will be built on. 1. Nearby bodies of water – Main bodies of water bring humid air during the day, which may result to faster deterioration of steel components of the house due to corrosion. The effect of humid air on concrete, due to the porosity of the material, is the growth of moss and fungi. This can be resolved by paints and finishes that lock the pores and prevent steel corrosion. 2. Terrain – You may wish to build your house on higher terrain to take advantage of wind movement for extra comfort. Also, land forms will accelerate wind flow that allows faster air change inside your house. Aside from that, higher terrain gives you good views if you install large picture windows. Meanwhile, building on lower terrain may create problems such as flooding and slower wind movement due to blockage of wind path. Surface runoff during rainstorms may also accumulate on the lower part of the community. However, this is usually remedied with efficient drainage systems. Be sure to check with your broker regarding this. 3. Forested Areas – Houses built on forested areas are cool and airy because trees are natural components that block sun heat. The main problem that may arise in this kind of environment is the clogging of leaves on the roof and gutter. On houses like this, the gutter must be removed, and the pitch of the roof must be steeper for leaves to just slide off. 4. Orientation – Orientation is also a factor that must be considered because it offsets the discomfort of the sun’s heat. The dominant sun path in the Philippines is East-South-West from March to October, and East-North-West during the rest of the months. Private spaces such as your bedroom must be oriented facing the North because it is the side that the sun strikes the least. Utility spaces such as toilets and the kitchen must be oriented facing the west, because these spaces must be kept dry for sanitation purposes. Also, the afternoon sun is the hottest because building materials have absorbed heat throughout the day and will release this heat plus the heat of the sun. So, spaces such as bedrooms must not be oriented towards the afternoon sun. What are the popular house styles in Davao City? There are many architectural styles that are being followed in Davao City, inspired from different continents that are sometimes modified to fit in our tropical climate. Here are four styles that are currently popular among homeowners here. 1. Tropical Houses – Modern tropical houses are the most fitting to our climate. Tropical houses are characterized by longer eaves, low-pitched roofs, sun shading devices, and large windows. These architectural characteristics are best for extreme heat during the summer and excessive precipitation during the rainy seasons. Sun-shading devices shield you from sun heat and glare penetration while large fenestrations provide faster air rate change for effective air movement. This style is aesthetically fitted to all parts of Davao — be it on beachfronts, higher terrains, and on the plains. 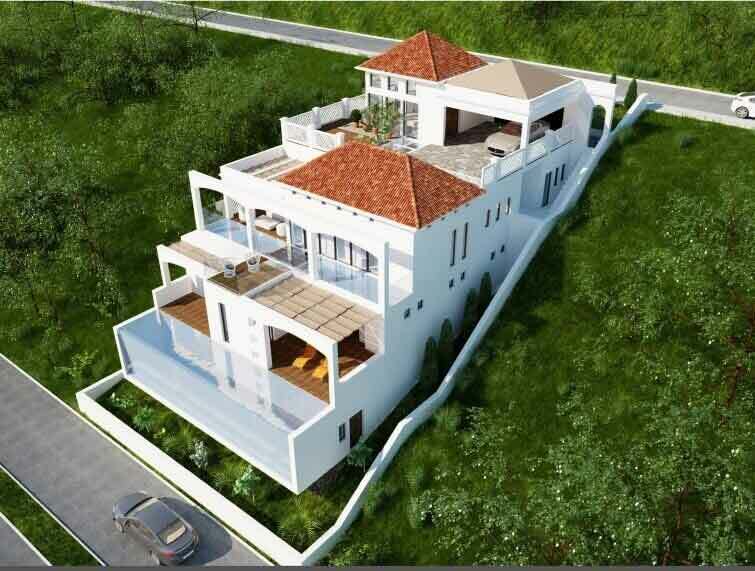 Aerial Perspective of Casa Alexandria, a Mediterranean-inspired house in Las Terrazas Subdivision, Maa, Davao City. Design and Build by Constantin Design & Build. 2. Mediterranean – Modern Mediterranean houses such as Casa Alexandria are inspired by the hacienda-style houses in the Mediterranean plains. 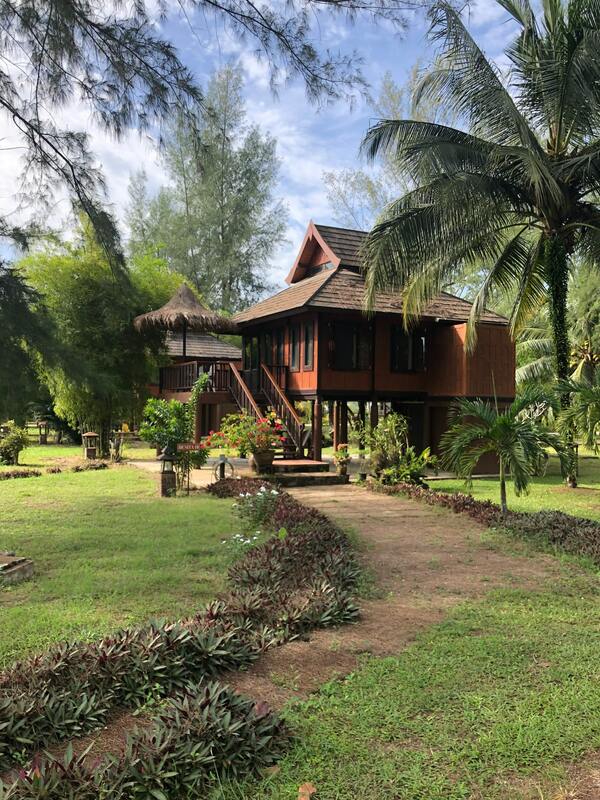 Defined by red clay roof tiles, arched windows, intricate steel decorations, and plastered exterior, it is a style that needs an eye for detail to achieve the overall rustic vibe. It also uses vibrant and colourful tiles that will achieve a playful interior. Mediterranean houses are designed for hot and arid summer and minimal cool and wet winters; this is why authentic Mediterranean houses have minimal openings to prevent sun heat from entering the interior. However, here in our country, some tropical modifications such as large openings and large eaves can be used to fit our climate. 3. Country Houses – Country Houses – Modern country houses are American-themed houses which are characterized by asphalt shingle roofing, wood sidings, muted color motifs and railed entry porches. This design is for people who aim for the American dream here in the Philippines. Some of the materials involved in this style such as wood are not suited for tropical Philippine weather, as they may deteriorate faster over time. However, designers have modified ways to achieve the style so that it can withstand the Philippine weather conditions through the usage of fiber cement boards for the sidings, and steel for the railings. 4. Oriental House – Oriental modern houses are generally inspired from Asian architecture, mostly Chinese. Authentic Chinese architecture are costly and intricate that is why it was modernized for economy but must still achieve the Asian vibe. It features interior courts and calming gardens with water features. Most of the people who choose this style follow the practice of feng shui. Closely linked to Taoism, feng shui is an ancient practice used to create a harmony of the environment with the people living in it. An example of this is a water feature that brings productive balance to the whole residence. Oriental houses are best suited to places with beautiful landscapes to provide a scenic backdrop. 5. Mid-Century Modern Design – Mid-century modern design is an interior design movement dating from the 1950s to the 1960s, and currently regaining influence in both the construction of houses and also interior design. It is known for valuing simplicity and function, and puts the needs of the homeowners above everything else. What are the popular materials used in home building in Davao City? Constantin Design & Build workers pouring mixed concrete slabs. Factors such as climate, location, and availability in certain areas of Davao City can vary drastically and therefore should be factored in the whole building construction process. 1. 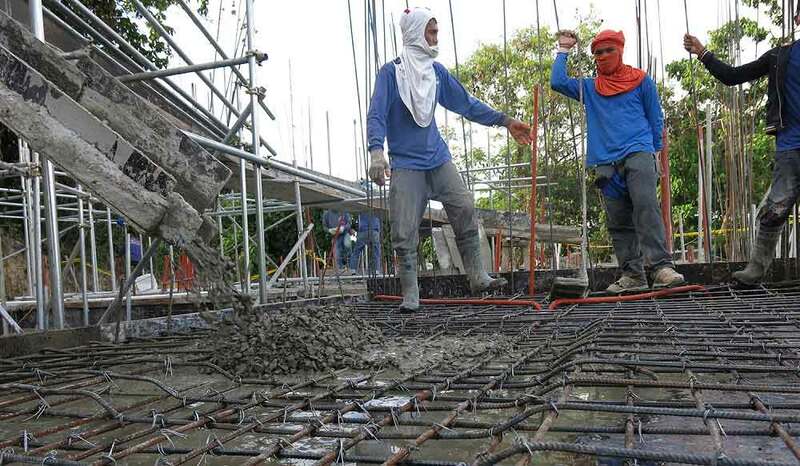 Reinforced Concrete – Like most places, reinforced concrete is widely used in Davao City. Concrete is a material for compression and steel is used to resist tension; this makes this composite material structurally stable. It is also used to last for years and resist seismic conditions in our country. This material is finished with paints or sealers to achieve maximum aesthetic and protection quality. 2. Wood – Wood is a beautiful material with a lower conduction of heat and cold: suitable as a good flooring material. But it is risky to use in our humid and wet weather conditions because of its porous character that easily absorbs moisture and eventually leads to its faster deterioration. However, there are available wood materials in the market that are engineered for moisture, and there are polymers and cement boards that mimic the aesthetic veneer of wood. 3. Steel – Steel is used if time is an important commodity. This kind of construction is easy and fast, but costs more than concrete and wood. During the summer, extreme heat expands steel, so homeowners must take into consideration this minimal movement in installation. But steel is much better compared to concrete in terms of a length to strength ratio, so steel is more appropriate for longer spans. How do I pay for my house construction? There are several ways to pay for a construction project. At Constantin Design & Build, we offer flexible packages for home owners depending on their financial preferences. 1. Spot Cash – The most common method is of course to fully pay for the contract price upfront. This seals the project deal in place and depending on the contract documents, will oblige the contractor to follow the contract details to the most minute detail. 2. Progress Billing – You can also pay for the project via Progress Billing, where a project owner will only pay for the portion of the project finished by the contractor during a set duration. This duration of time is commonly arranged between the contractor and the owner. 3. Bank Loan – Another way is to apply for and obtain a home construction loan from reputable banks. In this arrangement, the servicing bank usually divides the payouts to the contractors into three tranches or the 30 – 60 – 90 method. Servicing banks will release an initial payout of 30% of the loan intended for work until such time that the construction progress reaches 30%. Often, the bank will send its own appraiser to evaluate the progress of the project against the submitted construction plans. Upon approval, the bank will release another 30% of the loan intended for the project to reach 60% of the project. This process repeats once more until they reach 90% of the progress. The remaining 10% will be released upon turnover. This greatly incentivizes the contractor to work efficiently, as completing 30% of the work in a shorter period of time will mean that they will also get paid sooner. 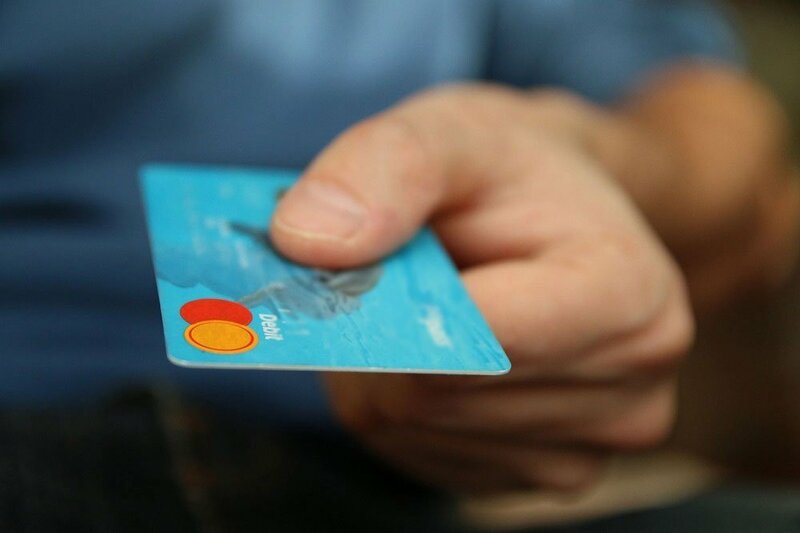 On the part of the owner, securing a loan not only spreads out the payment to a more comfortable amount in a span of years, but will also allow the owner to earn credit points with the servicing bank. Of course, interest also contributes to the total amount of payouts, so this is a factor that the owner should consider. For more information, contact your preferred bank. You may check more details about housing loans from local banks such as the BPI, BDO, or Metrobank. 4. Mixed Methods – This arrangement is typically a modified form of Spot Cash, Progress Billing, and/or the Bank Loan to suit the most comfortable arrangement for the client. They usually come in the form of very attractive offerings that enable construction projects to progress at little to no downpayment. This practice however, can be dangerous for the client because it forces the contractor to skimp on the quality of the materials and craftsmanship used in their house. We advise would-be project owners to closely examine the reputation, paperwork, and work quality of contractors offering suspiciously attractive financial packages. If it seems too good to be true, then it probably is. Behind a building being constructed is the paperwork. This is a totally different stage of work from the construction procedures. Paperwork is required are for the construction timeline, dissemination of liabilities, payables, security bonds, and others for transparency and permits. Our team at Constantin Design & Build usually handles this part and owners will only have to sign the papers that need their signature when the documents are ready. 1. Contract Document – A contract document which breaks down the services offered by a party and the remunerations that the other party will be responsible for. 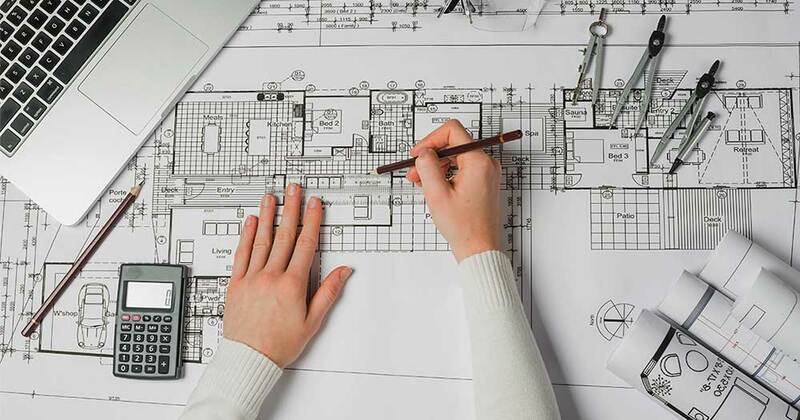 A contract document is ideally agreed upon on the start of pre-design services of the architect wherein a client will have to agree on the work that the architect will offer. This will protect parties from unsatisfactory work done and will secure the designer that the intellectual property rights will be taken care of. At Constantin Design & Build, we encourage our clients to read our contracts thoroughly before signing. While we guarantee fairness and satisfaction with every project, we also encourage clients to understand their rights and know the definite course of action in the very unlikely case that disputes should arise. 2. Bonds are agreed conditions that secure both parties through the usage of certain amounts. Bonds work like a collateral. If a party fails to secure a job done, the other party will take the bond. But if the job was secured, the money will be returned to the other party. 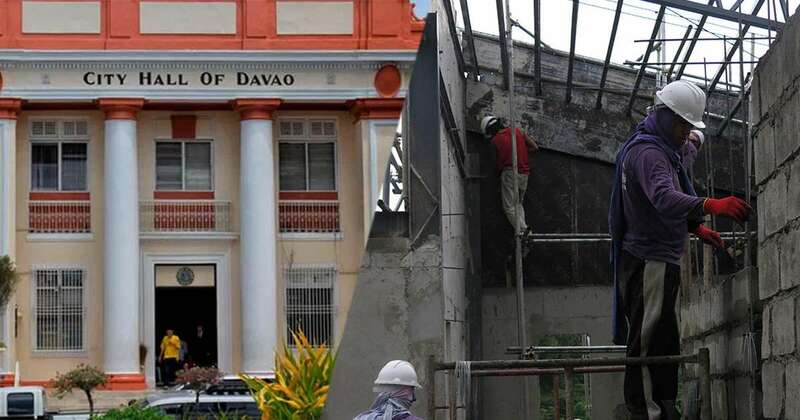 Most of the subdivisions in Davao City have bonds that are taken before construction; contractors should observe certain themes and colours to be followed and must observe building height limits inside the subdivision. 3. Technical Working Drawings – These are Architectural, Structural, Electrical, Plumbing/Sanitary, Mechanical, Fire Protection and Safety drawings. Architectural drawings are signed and sealed by the architect for the planning, the total form and the architectural finishes of the building. Structural drawings are secured by the structural engineer; it will be based on the architectural drawings but will focus more on the details of the columns, beams, slab and other structural components of the building. Electrical drawings will show the power and lighting layout of the building based on what the architect designed. The registered electrical engineer will also show the table for the computation of the electrical requirement for the building and how the power supply will enter the building. Plumbing or sanitary layout – will show the removal of soil and wastes from the building. It will be signed and sealed by a registered master plumber that will show details of how pipes will be installed including those construction details of septic tanks, catch basins and grease traps. Mechanical and fire protection and safety drawings are mostly used on larger projects and are secured by the mechanical engineer which will show the equipment used in a building and its electrical breakdown. The layout for the fire suppression is shown on the FPS drawing. 4. Cost estimates – are sometimes used by the architect and the contractor for their remunerations and used by the owner for bank requirements of loans. This document contains an estimate of the Bill of Materials that is usually used for appraisal. It should be noted however that the values contained by the cost estimates are subject to change depending on market prices and is never fully final. 5. Floor Plans – represent the arrangement of rooms, features, and other space requirements to scale, viewed from above. This is usually presented to clients at the proposal stage of the project. 6. Perspective Drawings– are 2D representations of the house’s façade, usually viewed at street level. At Constantin Design & Build, we make the first floor plans, cost estimates, and perspective for free, at no charge. 7. Building Permits – before beginning construction, the homeowner or contractor must apply for a building permit from the Davao City District Engineering Office. Requirements for the permit include among others, the detailed engineering and architectural Plans, the signed and sealed application forms, and the Safety Program. These documents are furnished by the contractor. Processing of the building permit can take two to three weeks, and usually entails a fee calculated per square meter. So, you’ve finally gone through all the hoops of paperwork and planning, and your home construction is finally progressing. Now it’s time to relax and let your contractor do the work. 1. Properly compact the soil where the primary foundation will rest during site clearing and site preparation. This will prevent future problems such as the settlement of foundations which will cause cracking due to imbalanced forces acting on the building. 2. Observe benchmarking on the building site. Your contractor must plumb the vertical and horizontal components of the foundation well to ensure the building’s structural integrity, based on the plans created by you rallied professionals. They must also count the steelworks that involve the primary structural components, because this kind of detail was pre-calculated and a missing stirrup may cause a huge problem in the future. 3. Cure all columns, beams, walls, and slabs properly by constantly dampening the concrete. Concrete while curing releases heat that causes it to crack. This is the reason why we see small pin-like cracks on the cured concrete after it is set. 4. Align all tiles on the finishing part of the construction to so people will not trip during the occupancy part of the construction. Paints must not possess paint failures like blisters and cracks. The lighting and other mechanical components must work properly and the plumbing works must be efficient as plan. 5. Your contractor should involve you during the furnishing stage according to your preferences. As the owner, you may wish to seek guidance for professionals such as the architect and the interior designer for the harmony of architectural design and the interior. There you have it. A detailed list of things to know before you build a house in Davao City. It is a long list and may be overwhelming. This is why we encourage you to entrust your home construction only to reputable contractors who come with local experience and the technical know-how. Constantin Design & Build offers hassle-free, one-stop shop construction process from beginning to end. Contact us now and let’s get that home built for you. We wrote this article in consultation with Ar. 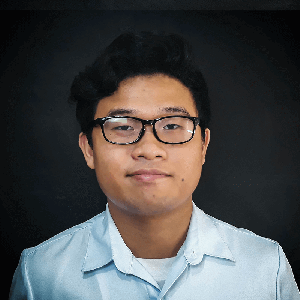 Glenn Pilayre. For questions and suggestions, please contact the author at paulo@constantintegratedph.com.